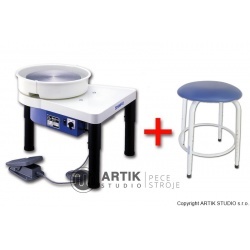 In this category, you can find a selection of pottery wheels for ceramics and accessories for them. 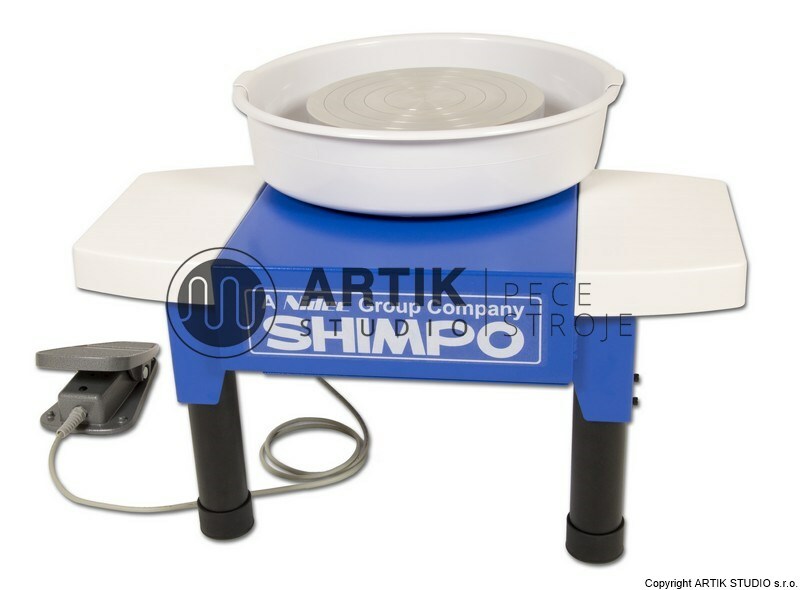 We specialize in the distribution of Nidec - Shimpo pottery wheels, which are ideal for both professional ceramists and extracurricular ceramic workshops, school courses etc. These are exceptionally reliable pottery wheels with unique utility properties. 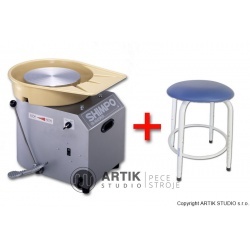 A quality pottery wheel should provide smooth and fast work with a precise result. 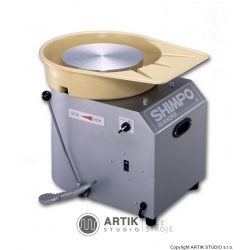 Even though it does not seem to be the case at the first sight, number of important factors can be found on the pottery wheel that have affect the above stated requirements. 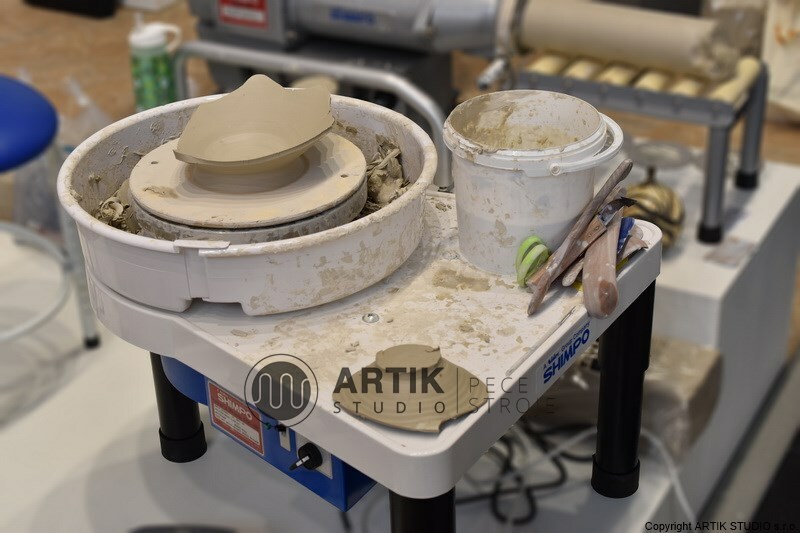 Professional ceramists know that it is not easy to work on a pottery wheel for several hours, that´s why every detail is important to make your work smooth and your body not so tired. 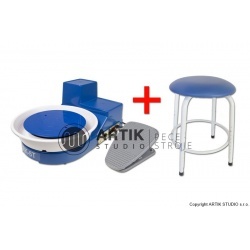 This applies also for pottery wheels intended for use at school workshops and by leisure activities. 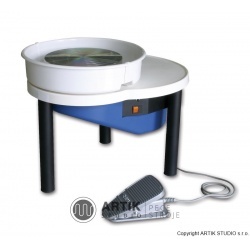 For this reason, we bring you some recommendations that help you with the selection of the best pottery wheel. The basics of a quality throwing is your comfortable sitting. 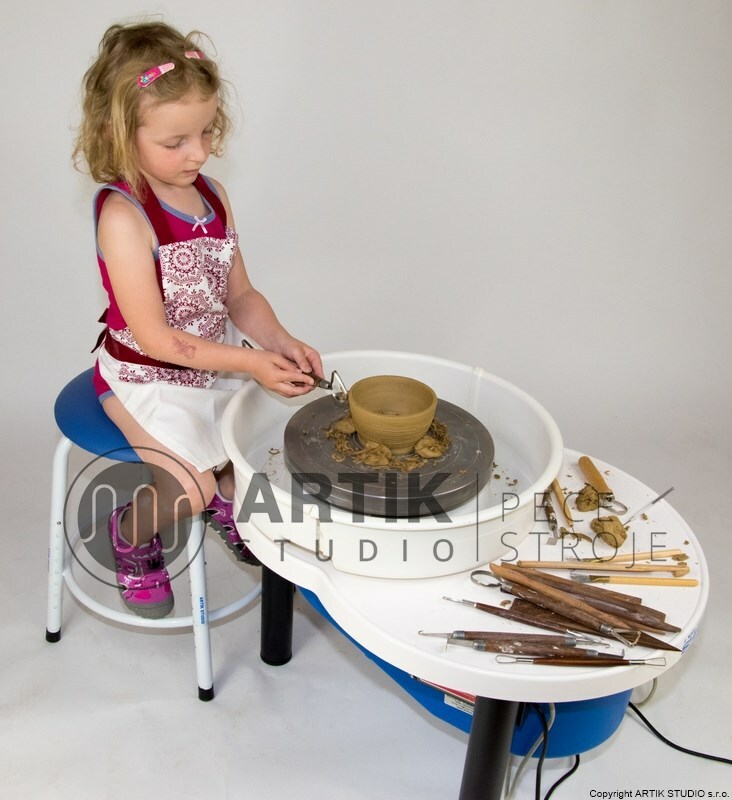 Because each potter has different physical layout, your new pottery wheel should allow you variable settings of the wheel-head or a stool itself. And this goes for both, its height or its distance from the wheel-head itself. You will like this adjustability especially in the case that potters of various physical dispositions will alternate at the same pottery wheel, which can happen e.g. at schools and extracurricular workshops. Another very important aspect that needs to be considered is the noise level of a pottery wheel. The very idea that you must listen to annoying and unpleasantly loud sound upon turning on a pottery wheel is not good not only for a long activity of a professional, but also for leisure activities in extracurricular workshops. Therefore, always inform yourself about the noise level of a specific pottery wheel. The noise level is denoted in decibels. Ideal noise level of a pottery wheel is around 30 decibels or less. That corresponds to the noise of a common PC. 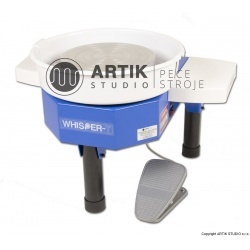 Sufficient performance of the pottery wheel at all speeds – that´s a need of every professional who knows what an advantage of quality pottery wheels with a high torque is. Potters should pay attention to information about the capacity of the pottery wheel. 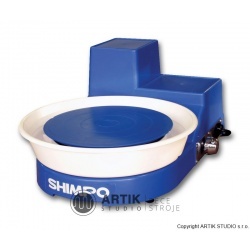 Professional pottery wheels provide trouble-free load capacity up to 40 kilos of throwed mass. It is impossible to compare wheels’ performances through power rating connection because the performance is given by the efficiency of wheel´s construction. E.g. state-of-art wheels with a power consumption of 400W correspond to the performances of wheels with obsolete construction and a power rating about 1000W. This is also closely related to the possibility of easy control of the pottery wheel speed and the absence of vibration during throwing. The pottery wheel should always be efficient at all speeds. When talking about speeds, it is important to mention that you should find out whether the pottery wheel allows you throwing in both directions. For the above reasons, it is ideal to try the wheel at least on „dry run“ – to get familiar with its control and smoothness of the speed transitions, etc. Beside the above stated, it is necessary to remember the energy consumption of a wheel during its selection. Especially during frequent operation of a wheel, the low energy consumption will be an important deciding factor! Last but not least, you will appreciate also the possibility of free rotation at 0 rpm which may serve you for eventual decorating.Also consider possibilities of easy after-work cleaning, because leaving the pottery wheel dirty could cause problems and reduce its lifetime. 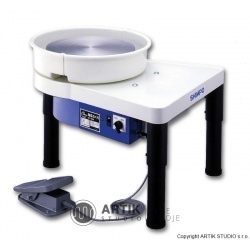 If you are just arranging a new ceramic workshop and you need to choose the suitable device for its complete equipment, we are more than happy to help you not only with the selection of pottery wheels, but also with kilns and other accessories. In the case of pottery wheels, we will provide you an examination of all models in our showroom before you decide to buy one. Upon prior agreement, we will also allow you to practically try out the wheel model. 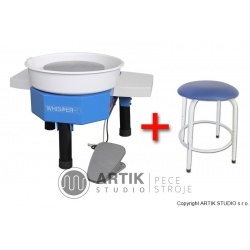 In addition, we will provide you not only warranty but also post-warranty service for a carefree operation of your ceramic workshop. 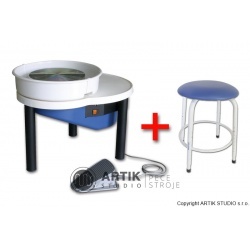 Complete set of ceramic tools for modelling and throwing ceramic. 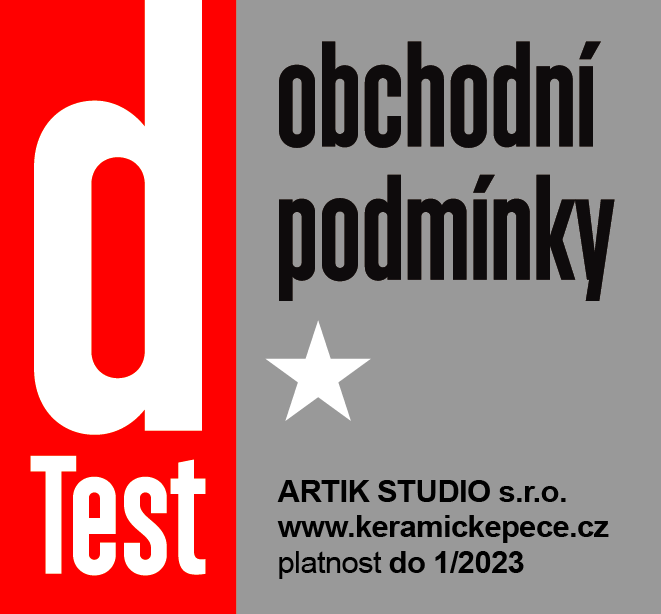 Suitable for beginners as well as advanced ceramists.